Helping people and dogs to better understand each other. In the world of search engines and social media advertising, it’s hard to know where to turn when you need help with your dog’s behavior. Do a search for “dog training [city, state]” and you will come up with all kinds of options. Who can help? It’s easy to sell a good story on a website, which gives no actual evidence that the person has the experience or knowledge to help you. Some of the best trainers aren’t the best at marketing. Coming up high on Google searches actually takes a pretty specific skill set, and spending money in just the right places. I would say most of my colleagues are in the learning phase of marketing their business correctly, because they’ve spent their time mastering their training skill! 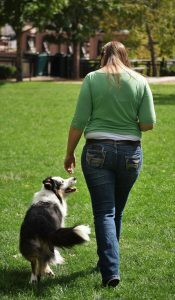 I recommend looking on the CCPDT (that’s the Certification Council for Professional Dog Trainers) trainer search: http://www.ccpdt.org/dog-owners/certified-dog-trainer-directory/. Even if you find a trainer whose website looks great, you owe it to your dog to ask them a few questions (see below) before hiring them. Ask for recommendations. Your veterinarian is a good place to start, but they may or may not know trainers personally or have experience with them. 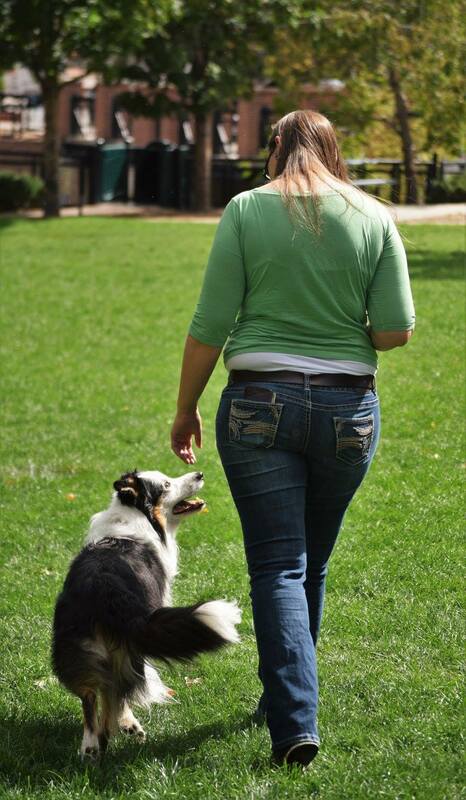 Ask friends or local groups on social media if they have ever hired a dog trainer they would recommend. Your friends and community members are the most likely to be honest about their experience. You may just find the local gem that hasn’t quite mastered search engine optimization. Briefly describe your problem, and ask if they have experience with that issue. A trainer may not be comfortable with aggression cases, or have much experience with severe separation anxiety, and that’s okay. A good trainer will be honest about their experience level, and refer you to a more experienced colleague if needed. What will happen to my dog if he gets it right? What will happen to my dog if he gets it wrong? If they offer inexpensive or free consults, they may encourage you to make an appointment, which is fine, but be sure to ask those questions during your consult! Be your dog’s advocate! At any point in any training program, if you do not feel comfortable with what is happening to your dog, speak up. You owe it to your dog to do what you feel is best, even if a professional is telling you otherwise. Dog training is an unregulated field, and there are many unqualified individuals working in the industry. This is why it is important to ask questions first, but unfortunately some people are deceptive. If it doesn’t feel right for you and your dog, don’t continue. This entry was posted in Questions Answered by megan. Bookmark the permalink.